Many people enjoy doing a majority of their own home improvements. Doing things yourself can save time and money, but only if you know what you are doing. Even if you are highly competent and confident with DIY home improvements, some things are still best left to the professionals. You may be familiar with basic or even moderately advanced wiring and mechanics, but it is still a good idea to leave most air conditioner and furnace maintenance tasks to Loveland HVAC professionals. Every part of an HVAC system has to work perfectly and in concert with the next. A small mistake could lead to costly repairs. These four HVAC maintenance activities should be left for the pros. The chemical refrigerant in air conditioners is the substance that allows the unit to cool the air. 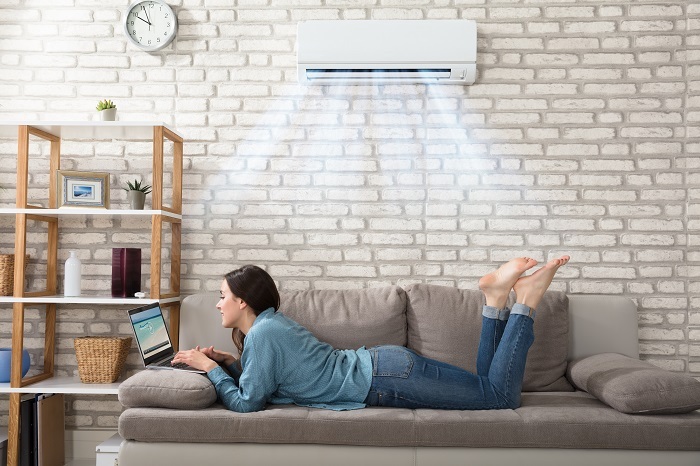 If your home has a heat pump, the refrigerant is also responsible for heating the air when you switch it over from cooling to heating functions. A low level of refrigerant causes the system to lose effectiveness so you might be tempted to top it off like you do with your gas tank at the pump. Unfortunately, adding an air conditioner refrigerant is more complicated than filling a gas tank. Specialty tools and handling procedures are required. You must also have a license in order to handle and transport chemical refrigerants for air conditioners. You may be familiar with basic home electrical repairs such as replacing a light switch or installing a dimmer. Even if you are pretty good with updating wiring or circuit breaker boxes, you should not try to fix the wiring or electrical components of your HVAC system. If a simple reset of the circuit breaker does not fix the electrical problem, and checking the switch on the outside of the furnace does not turn the unit back on, it is best to call an HVAC technician. The fan blades, coils and other parts of the system are delicate. If you reach too far into the unit, you could damage them. Messing up an electrical connection could short out the entire unit, requiring its circuit board and motor to be replaced. Air handler coils are responsible for exchanging the warm air from within your home with the cooled air. They are present in central air conditioners and heat pumps. The coils are loaded with chemical refrigerant and must be clean in order to function. Dirty coils decrease system effectiveness. The coils are delicate, and you could puncture them if you try to clean them on your own. The pros have specialty tools for cleaning the coils. A few HVAC things you can do include replacing the air filter and trimming back the trees and shrubs from the outdoor compressor unit. It might seem that tightening a screw hear or cleaning some dust there should be easy. However, it can be trickier than you think. HVAC techs learn about the proper sequence for cleaning and maintaining HVAC parts. They have also been trained in what to look for when it comes to possible problems. A pro can complete the maintenance sequence more quickly and effectively than an amateur. Technicians also have the experience and tools to detect minor issues that could lead to bigger problems later on. Routine furnace, heat pump, and air conditioner maintenance should be left to the pros. Focus your DIY adventures on other parts of your house, such as replacing a window screen, adding weatherstripping to a door frame or replacing the flapper in your toilet tank. This article was written by Swan Heating & Air Conditioning, a Northern Colorado residential heating & cooling company. PICKUP App has you covered, just purchase it and let them pick up and deliver! Next Article How Can Stay-Home Moms Start Earning Using Internet, Today! In fact, the repair of the condenser is not so difficult. The main causes of breakage of the condenser are easily eliminated with a standard set of tools. Hey here I have a one of the classic card game that you loves to play online. If you were interested in such online game then from here you will play spider solitaire online without any pay and app installation. In this age we live, we have to make our personality special and strong. We live two category of life one is the academics and other is the professional life and we can feel the change difference between both lives but we have to make prepared our personality for the professionals.